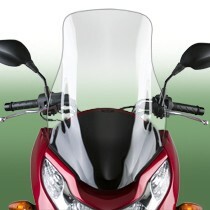 National Cycle Replacement Screens for scooters offers the rider a choice of heights to fit their size and wind protection requirements, as well as the superior quality and strength of National Cycle's hardcoated polycarbonate. These windscreens are backed by our 3-Year Warranty against breakage! National Cycle Replacement Screens for scooters offers the rider a choice of heights to fit their size and wind protection requirements, as well as the superior quality and strength of National Cycle's hardcoated polycarbonate. 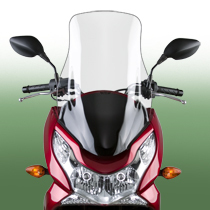 You won't find a higher quality scooter windscreen than ours! 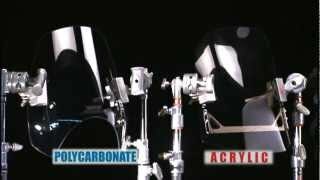 Constructed of FMR hardcoated Lexan® polycarbonate or Quantum&treg; hardcoated Lexan® polycarbonate (depending on model chosen) for unbeatable crack and impact resistance, as well as excellent abrasion resistance.